Looking for a non-traditional pharmacist job? This may be the one for you. Here, an infectious diseases pharmacist who searched shark mouths to identify potentially pathogenic bacteria is interviewed. When people hear that you are a pharmacist they almost always assume you work in a community pharmacy such as CVS, Walgreens or some other chain pharmacy company. The truth of the matter however, is that pharmacists work in a variety of settings and provide many different services. Traditional pharmacy services are those of the dispensing pharmacist, who ensures the correct products are safely dispensed from a pharmacy. Non-traditional pharmacist roles on the other hand take many shapes and forms. There are pharmacists working in the areas of transitions of care, HIV, critical care, and many other areas. Perhaps one of the most interesting non-traditional pharmacist roles comes from the world of the pharmacy professor who is involved in research. In the instance under discussion here we have Dr. Nathan Unger, formerly of Nova Southeastern University College of Pharmacy’s Palm Beach campus, who found himself searching for bacteria in the mouths of sharks – as a pharmacist! As an infectious diseases pharmacist, knowing what bacteria to target when selecting antibiotic therapy is essential. For bite wounds, the organisms that grow in the mouth of the biting animal merits consideration. Given this is an interesting topic and non-traditional pharmacist role, I reached out to Dr. Unger for an interview. He agreed and the following was developed. 1. How did you get involved in working with sharks as a pharmacist? The opportunity to work with sharks was a classic right place, right time. I had just finished my second year of residency and started a new job as faculty at a College of Pharmacy. The hospital I had been assigned to work at as my practice site had an trauma team that was really looking to expand their research. Since Palm Beach was a common location for shark bites, and the hospital had their fair share of incidents, they had an idea collect samples from the mouths of sharks and identify the bacteria and respective antibiotic susceptibilities. Unfortunately, they did not know where to begin, so that is where I came in to play. The project had great implications for infectious diseases, plus the excitement of working with sharks, I was instantly interested. My experience in pharmacy school and residency training focused on human research, so I was a bit out of my league at first. I spent an inordinate amount of time researching what was required to even conduct research in animals, let alone sharks. The other dilemma was how to actually collect the samples from the mouths of sharks without losing a limb or two. So I found: 1) an experienced shark angler to bring the sharks ashore, and 2) a device to facilitate swabbing the oral cavity while providing a safe distance from their teeth. 2. What do you enjoy most about working with sharks as a pharmacist? I developed an appreciation for dedication and patience the shark anglers possess. It is not as easy as putting a hook on a rod and throwing out some bait. They also had respect for the sharks, and took great precaution to ensure all sharks were released alive. I will never forget one outing in which we caught over a half-dozen blacktip sharks in just a few hours, in the pouring rain no less. For a period of time, my two boys thought my job was catching sharks. 3. What do you enjoy the least about working with sharks as a pharmacist? Conducting infectious diseases rounds at the hospital there would always be patients. Catching sharks requires a different kind of patience, and more often than not, our shark catching outings resulted in zero catches. This was frustrating and just because I was on a beach does not mean my other responsibilities could be ignored. 4. Are there any take-home points you would like to share about your work? 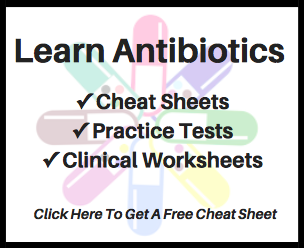 Based on our research, we do not recommend going too big with antibiotics and exercise antimicrobial stewardship. Due to the severity of the bites, there was a tendency to use multiple antibiotics unnecessarily, including some of our “big guns” due to fear of resistance. We learned that a two drug regimen of ceftazidime and doxycycline would suffice, at least for the Blacktip sharks. It is not known if this regimen would hold true for other shark species. 5. What does the future hold for the pharmacist shark pharmacist? At this point, I have moved into a new professional role and no additional samples are being collected, but we are analyzing the last of the data to provide more antibiotic recommendations for bites by other shark species. I do hope to continue catching sharks recreationally. Nathan R. Unger, Pharm.D., AAHIVE is a Medical Science Liaison for Janssen Scientific Affairs – Infectious Diseases, covering the North Florida Region. He earned his Bachelor of Science degree in Exercise Physiology from the University of Florida in 2006, followed by a Doctor of Pharmacy degree also from the University of Florida in 2010. He completed 2 years of post-graduate residency training specializing in infectious diseases at the James A. Haley Veterans’ Medical Center in Tampa, FL. After which, he spent over 4 years in academia conducting research and teaching pharmacy students. He has published over a dozen articles covering topics such as HIV, penicillin skin testing, preoperative antibiotic prophylaxis, antimicrobial stewardship, and antibiotic resistance in the oral flora of shark species. He currently resides in South Florida with his wife and 3 kids. I would like to express my utmost appreciation to Dr. Unger for taking time out of his busy schedule to participate in this interview and help share his perspective and experiences.